Brewton Plante, P.A. wins bid protest | Brewton Plante, P.A. 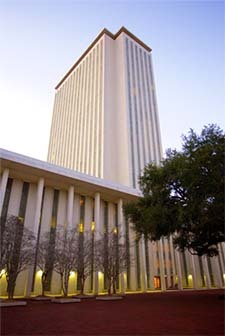 The Firm represented Prison Rehabilitative Industries and Diversified Enterprises, Inc. (PRIDE Enterprises) in reference to an Invitation To Negotiate (ITN No: 012-13) in a specification challenge in reference to the manufacturer and distribution of approximately 18 million license plates for the State of Florida. PRIDE Enterprises is a Florida not-for-profit corporation created and authorized by the Florida Legislature to manage correctional work programs in the State of Florida. The Administrative Law Judge held that ITN No: 012-13 failed to distinctly define various terms and as such as contrary to competitive bidding; that by allowing flexibility for future designs created an exclusionary process contrary to competition, and that the Department of Highway Safety and Motor Vehicles did not have the authority to issue an ITN for the commodities it was seeking. The Administrative Law Judge was Lynne A. Quimby-Pennock. The Firm’s attorneys involved were Wilbur E. Brewton and Kelly B. Plante.